Edited by karri, Thu Mar 21, 2019 2:58 PM. Please put me down for one programmer Karri. Incredible work btw! Do you want the PiHat programmer board or the case that Karri mentioned? Sorry Necrocia, I would like a programmer pihat from you. I would also like a case from Kerri. Thank you both! Cool, added to the list. Don't think Karri offered to make cases, but I'm also interested in what he'll come up with. I may offer a 3D printed case as an option, depends if my printer can do them well enough and how long it takes to print each one. Hi Necrocia, Please include me for a pi hat programmer on your order list too. Let me know what else you'd expect for documentation and I'll try to make it happen. 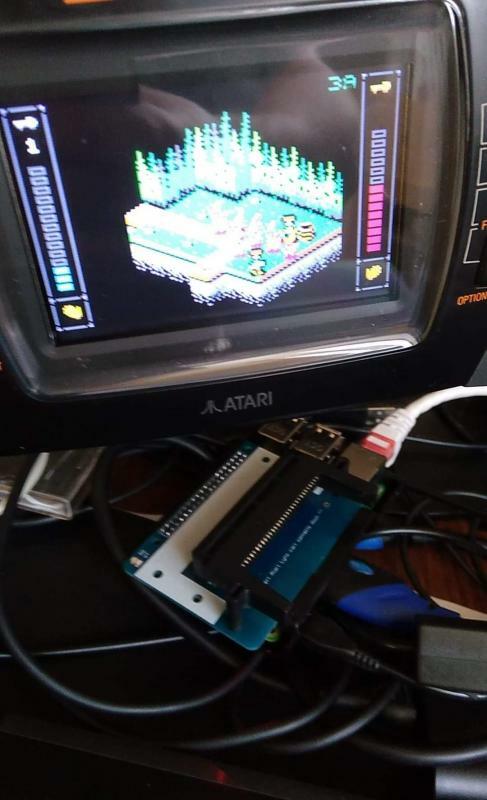 The directions were easy to follow, One thing i would like is to compare the roms I read with the programer to the common ones to see if i have any alt rom versions. Is there any software to remove the headers or to ignore them to compare? Not that I know (Karri might) but all you need to do is remove the first 64 bytes of a LNX file and that gives you a LYX file (no header). I will see about putting md5sum data for ROMs into the Atari Gamer game database, that could be useful. I don't think carts have the header. Lnx roms do, as you said in the previous post. What you can do is read a whole cart, calculate the md5sum and search for an header in a db (local or online) using the md5sum as key. I should clarify what I meant by header info for a cart. It's possible to read data such as flash manufacturer code, and it's also possible to determine the block size by reading the first 2048 bytes of the cart data, that's the bit that I meant as cart header info. During development the cart sometimes differ only in one byte from the previous build. So you really need to cover the entire cart before a checksum makes sense. Excellent! Have you got the STL to share yet? 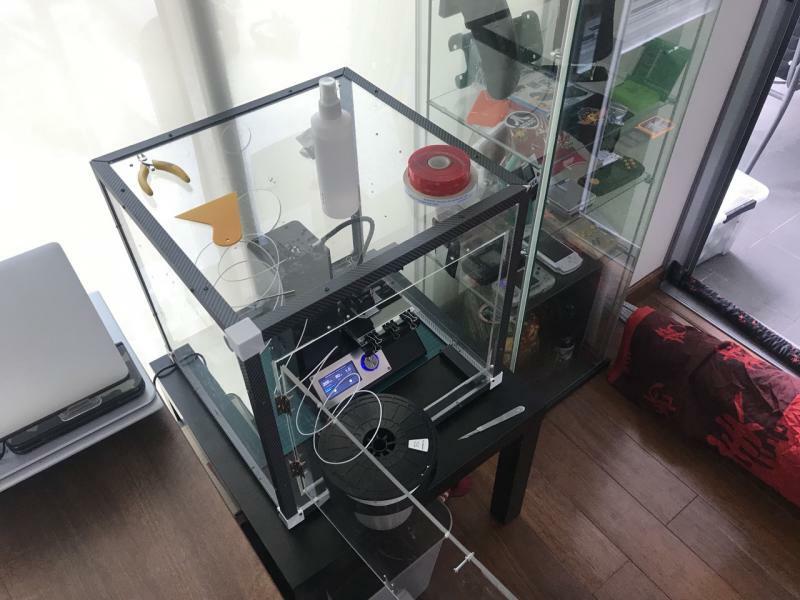 I've got my 3D printer working nicely now, just printing some things to make it easier to print more things later, then I'll try to print some shells and the enclosure. These are my favourite designs. 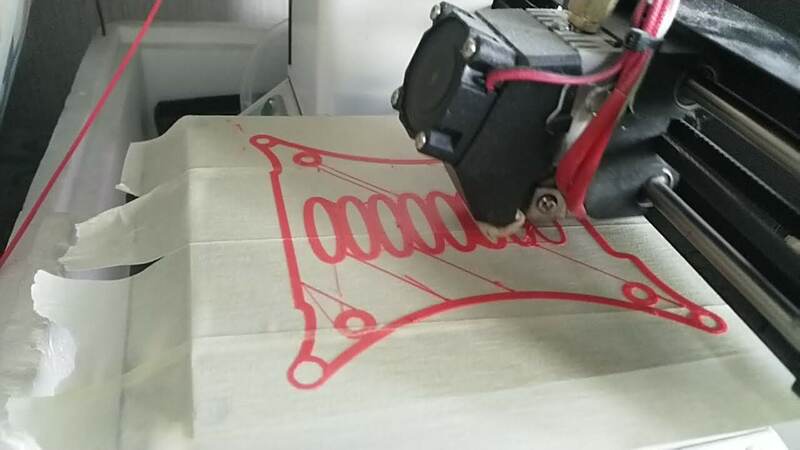 You find them at Thingverse. I plan to create suitable tops in the same style as these bottoms. Hmm. It should not be possible to damage the cart by using 5V. Could it be that there is a bad solder on a pin? I checked that, it happened when I plugged the programmer board incorrectly into the GPIO pins on the Raspberry Pi, instead of all pins being lined up, I misaligned it by 1 row of pins and after that the cart stopped working. The board works fine still. There is a set of pins wired directly between the Pi and the cart. A single pin may burn if the voltage exceeds the Vcc of the cart. I have not experienced it. Please add me to the list. I can't continue to ask karri to test all my code and the SD cart waiting list seems to be veeeery long. I only hope that shipping to Italy will not cost more than the programmer. Shipping to Italy is about 15 (untracked) or 20 (tracked), not sure if I will use the untracked option, will decide on shipping details once the boards are assembled. 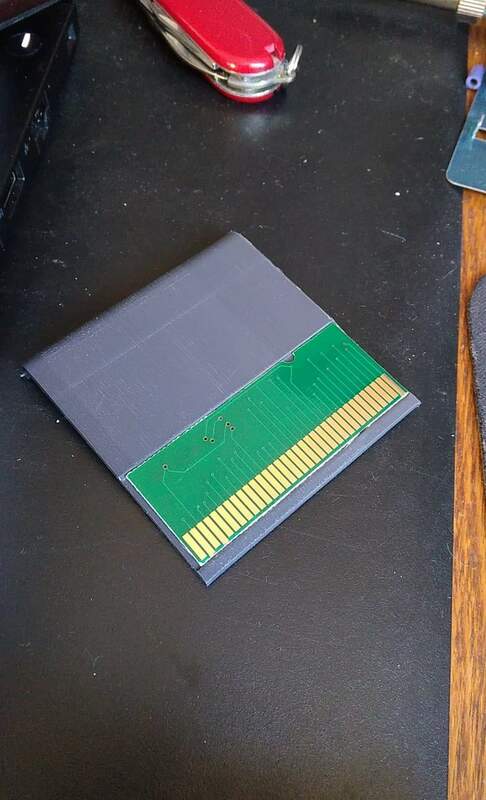 I also hope to include a cart shell with each board if I can get my 3D printer making them properly. May I be moved up to spot #8 now that someone got crossed off? Once the boards are built and payments are ready to be received, if people don't pay within a certain time, completed boards will be offered to others further down the list. I'm still waiting for PCBs to arrive, was hoping that would happen this week but it didn't, next week maybe and then I can test the PCBs and if all is well start assembling boards.